I did find that this cleanser works to keep the skin clean but it doesn't help too much with blemishes that are already visible. This cleanser is probably better for someone who doesn't have many blemishes (acne) to begin with. The part that I absolutely hated about this cleanser is that it comes out in an oil type form and doesn't really lather, it feels like you're rubbing watered down oil on your face. This is the one product I did not like from this line whatsoever. It smells really bad and it's VERY sticky, unpleasant to apply to the face. I don't find it fulfills the duty of a moisturizer at all. I was most pleased with this product, it does reduce the size of blemishes and makes them less noticeable. It doesn't work insanely fast like some other products, but it does work and it's all natural so you know it's good for your skin! It's a tad liquidy and has an incredibly strong smell but it's definitely the best part of this line (out of the products that I've tried). SIDE NOTE: I do have acne prone skin so this may just not work on me, I don't know how it will affect other peoples skin. *Also, this is not a post just to bash on Burt's Bees because I really do LOVE they're products!!!!! 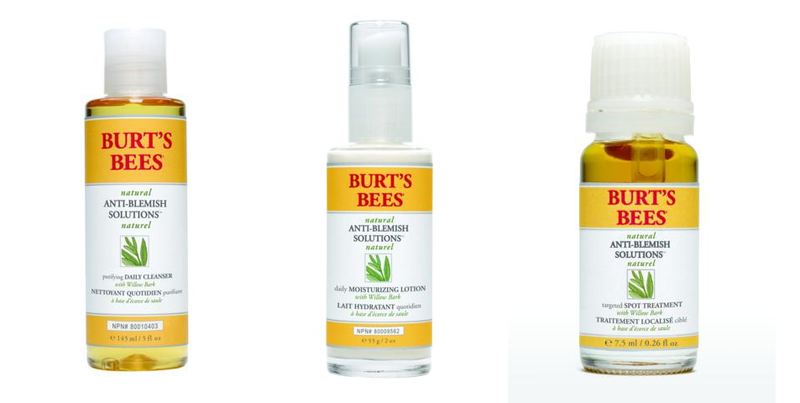 If you've tried these products or other Burt's Bees products let me know what you thought of them in a comment below!! !